Being a Western woman in China is a topic I’ve thought a lot recently, I realized I don’t really know many other Western women living in Guangzhou. I have an American friend who is ethnically Chinese, having here roots in Guangdong. Then I have an American-German friend who have grown up in China. My friends are mostly male, coming from Australia, Albania, Japan and so on. On my class at university we only have four students, including two Korean guys and one girl from Indonesia. On other fourth year classes they have a few Russian girls, but that’s it. Most of the students come from Asia and most of the European or North American students are men. As I embark on a second year here in China, I often take a look around me and wonder why I as a Western woman am so underrepresented here.– Other foreign female teachers I have worked with have also left and returned to their home countries, usually due to unhappiness, loneliness and lack of fulfillment here. Meanwhile, many of my male counterparts have seemingly lived happily here for several years. True- I know it isn’t always a bed of roses for the Western men here but there are still more of them around here. This phenomenon has me and others often scratching our heads wondering why China is perceived as a haven for so many Western men but simultaneously is such a hardship for Western women. So is it that not only fewer Western women come to China, but they also leave earlier than men? Could Chinese girlfriend and wife be keeping men here for longer or for good, but as a fewer Western women date Chinese men, they find it harder to make roots here? While reading her blog post I remembered my older cousin who used to live in Guangzhou for a year before. As a single woman turning 40 she found it hard to date in China and was happy to move to Australia when her company decided to close their office in Guangzhou. An excellent post about the issue is Jocelyn’s On the rarity of foreign women and Chinese boyfriends/husbands. But besides dating, what are the reasons for having less Western women in China? I too have my own reasons not to come to China earlier, even though I dreamed about it since I was a kid and planned to study Chinese major after high school. The biggest reason was that I was dating from high school to university. I didn’t want to have a long distance relationship, not even for a semester. I always thought that relationships should allow both to follow their dreams and stay strong even not being able to meet each other for a certain period of time. I guess I already knew my relationship at the time wouldn’t have been and wasn’t strong enough. Could there be other women with the same reasons to put off their dream? When I finally get out of the hurting relationship, it still wasn’t easy to make the decision. I even had to call my mother! If you know as Finns, we usually are really independent and only inform our parents afterwards. But that time I needed my mother to tell me I should go and it’s all going to be okay. Could fear of jumping to the unknown be one reason for the lack of Western girls around here? Are men usually braver to make these decisions? So what are the hardships right now for me, when I’m already living in China? As an introvert it’s hard to form new relationships and new situations can make me uncomfortable. Career wise I should be stronger, more determined and ask for more. Daily life isn’t a problem especially in the big cities where you can find everything you need. Before or in the country side it might be harder to find good deodorant or tampons, but in big cities there are Watson’s and Mannings on every district, also big supermarkets have all the products we usually need. Being a Western woman in China is a challenge but also an opportunity. I would never have these experiences, job offers, projects that I’m able to have here in China. If you are thinking of moving to China, why don’t give it a go? Ehkä se, ettei Kiinassa ole länsimaalaisia naisia, johtuu myös siitä, että kiinalainen kulttuuri mielletään kuitenkin todella paljon erilaiseksi kuin pohjoismainen/länsimainen. Hyppy tuntemattomaan on paljon isompi Kiinaan kuin esimerkiksi Eurooppaan tai Jenkkeihin. Muutama mun tutuista on joskus puhunut haluavansa muuttaa ulkomaille ja aina kohde on ollu Euroopassa, Jenkeissä tai Australia. Niiden kulttuurit muistuttaa edes vähän meidän kulttuuria ja sopeutuminen voisi olla helpompaa. Ihan totta, kulttuurierot ovat kylla hyvin suuret Suomen ja Kiinan valilla. Sahkopostia on tullut muutamalta suomalaiselta pojalta, jotka ovat tannepain muuttamassa, mutta missas ovat Kiinaan hakeutuvat tytot ja naiset? Olen nyt asustellut muutaman kuukauden Hong Kongissa ja vaikka taalla tietty ei ole ihan sama, olen saanut vahan kosketusta tahan aasialaiseen kulttuuriin. Mielestani miesten on helpompi saapua Kiinaan silla lansimaisia miehia kohdellaan aina kuin kuningasta, naisia loytyy ymparilta haaremiksi asti ja helppohan siita on sitten joku valita ja jaada ja rakentaa uusi elama uuteen kulttuuriin. Lansimaalaiset naiset taas tulevat usein lansimaalaisen miehensa “kylkiaisena”, ja sinkkuja tuntuu loytyvan vahemman. Taman kulttuurin miesten kanssa taas ei ole yhta helppoa olla suhteessa. Itse yritin seurustella vahan aikaa taiwanilaisen mutta HK:ssa asuvan pojan kanssa. Alku meni perinteisen kaavan mukaan, poika tulee iskemaan, sitten vietetaan vahan aikaa yhdessa, mutta kylla meni akkia sukset ristiin kun valtasuhde alkoi jarkkya jo kuukauden kuluttua. Olen myos itsenainen suomalainen ja tottunut hoitamaan asiani ja ilmaisemaan mielipiteeni, mutta eihan aasialaiset tytot nain menettele! Tama poika on juurikin tottunut taluttelemaan naita sayseita puudeleita kasipuolessaan eika minulle taas sovi nain lauhealuonteinen mies. Myohemmin tajusin kylla etta meidan ristiriitatilanteessa reagoin erittain lansimaalaisittain avaamalla hermostuneena suuni, eika hanella ollut siihen mitaan vastata (vaikka vika oli oikeastaan kokonaan hanen). Nyttemmin ollaan kylla ihan kavereita, mutta uskon etta itse en voisi seurustella kiinalaisen kanssa. Tulipa pitka kommentti ja yleistystakin, mutta siis nain oma kokemukseni. Taalla on kylla ihan eri roolit poikaystavilla ja tyttoystavilla kuin Suomessa. Siihen holhoamiseen ja hoivaamiseen voi suomalaisen tyton olla vahan vaikea tottua. Uskoisinkin, etta monet ulkomaalaisten kanssa seurustelevat kiinalaiset miehet eivat ole ihan niita perinteisempia kiinalaisia. Kovasti kaipaisin kylla muista suomalaisia naisia asumaan tannepain Kiinaa, pidemmaksikin aikaa! I left China just after my 28th birthday and part of the reason I left was seeing how unhappy other expat women in their mid-thirties were. They spoke Chinese, were open to dating local and expat men, but in the end they were childless (not childfree) and in and out of relationships with men who didn’t want to settle down with them. We all drank too much in expat bars. I love China and still do China related work and studies. I had a large group of Chinese friends (men and women) I am still in touch with. I was involved with Shanghai Dolls and tried to build a large social network. I didn’t visit home for three years. Once we hit our late twenties, my Chinese friends started moving out of the big city to settle down and as they got married and had children, I started to find myself left behind. I couldn’t move up in my company and I found it very hard to keep a boyfriend for all the reasons many expat women have listed a thousand times. I was always sick in China and after three years my hair broke off. I’m still trying to grow it back. In the last few months I lived there, I started wheezing from air pollution. I could get some decent medicine at a western hospital, but not what I really needed. Other sturdier western women might be totally fine there. I eventually had to face the fact that staying any longer in China would hurt my health, my career and – I cringe to say it – my chances of getting married and having a family of my own. It was a wonderful thing to do in my 20s, but I didn’t know how I could build a life in China during my 30s. I felt like I was too old to have the same lifestyle as people who arrive just after college, but too young and different from the trailing spouses. I was stagnating in China. I have been in China a long time (eight years) and I definitely have seen a lot of women go. I was going to say, part of it might be the dating scene and another part that’s tied to that is the whole “biological clock” thing. It can be hard to find a suitable partner, especially in China (even if you are willing to date locals), and eventually it just makes sense to pack up and go home. Men can put off getting married and having kids so much longer. I’m not trying to be sexist here, it’s just biology. Thank you so much Amanda for sharing your expriences and thoughts! I think this year and especially next year when I’m finally graduating, I will face the challenge of not fitting in. I won’t have my study community anymore, many classmates will go back home. Really making friends with my boyfriend’s friends would require to learn Cantonese, at least listening. They won’t speak putonghua all the time just for me. All in all, it’s going to be a transition time for me. Glad I have all of you to share expriences with. As an American woman, now 34, who spent a total of 9 years in China (I first went in 2003 and was back in the U.S. for a year in the middle), I agree with most of this post. I found that most of my friends were a lot younger than me when I was in China, especially my Chinese friends. Most Chinese people around 30 are settling down and getting married. Foreign friends usually left after awhile. These were part of what lead to my feelings of loneliness. And as for dating…I agree with Amanda, too. I was always open to, and in fact did, exclusively, date Chinese men, but it was hard to find someone on the same wavelength….someone the same age as me who wasn’t looking to get married immediately…someone who was totally okay with me being independent…and then there’s the fact that may Chinese men are way of approaching western women and many also don’t want to be in relationships with us because they are afraid we will leave China, or that there parents will disapprove. It’s definitely not impossible, but it is a lot harder, to find a suitable match in China. Once you get to be in your 30’s, and maybe looking to settle down more, it’s harder. Also, I think in China an independent woman is sometimes viewed a little suspiciously; at least, I started to feel that was the case as I got older and remained unmarried. As a woman over 30 and unmarried in China, I felt that people were constantly questioning my existence, though they were not rude about it. For men, this is much more acceptable. I guess I just started to feel like I didn’t really have a place in China any longer- in my 20’s, it was easier to fit in because again, I wasn’t “marrying age” yet. I also agree with health issues…as you get older that stuff becomes more important- pollution, food safety, and the like. I feel like a lot of western men come to China, find a Chinese girlfriend, and get taken care of by her as far as finding a place in Chinese society and getting things done. But it’s hard for western women to be in the role of “caretaker” to a boyfriend that is expected of us when in a foreign country. So we wind up lonelier. Yes, some Chinese boyfriends care good caretakers too, but some still expect to me the “man” in the relationship. Thank you so much Beth for sharing your experiences! 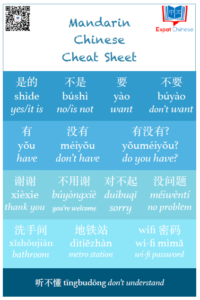 It’s valuable information for all of us living in China, perhaps on our twenties as still trying to figure things out. What I’m personally worried about if I can form enough good friendships here. I’ve already seen so many friends come and go, situation that you and others described as well. Nice post Sara, I do know that it is not common to see a western woman with a chinese man but I would not say that there are not plenty of western women here. The blog of “Inside the Middle Kingdom” gives an example about how many women are working in the school, I have seen something different in Shanghai,schools have a good majority of western women, most part of the teachers are women. As in the teaching industry in general. I think that maybe years ago it wa not usual to come here but at least in Shanghai you can find western women everywhere! I agree with you, that there are lots of western women in China, perhaps as many as men. I see this in the small city I live in (in Hebei Province) as well as in Beijing. I think the other important issue here is that, on average, they leave China much sooner than men. They are less likely to stay long term or put down roots here. Do you find that true in Shanghai/Suzhou? Yes I find that in Shanghai and Suzhou, there are many women, sometimes I think is 50-50 sometimes I think 60-40….40-60…is pretty balanced. But is true what you mentioned, they stay shorter, that’s why in a group of friends, in the long term, is more likely to be with men, because women stay shorter. I kind of understand it at thi exact moment, hahaha summers are just too hard for me!!!! Thanks Alva. I’m not sure if it’s because lack of Western women in general or lack of them in my circle of friends. It can be also because I’ve seen so many dear friends go back home after just a semester or two in China. Also from all those Finns that send me emails about studying in China, majority of them are men. Finns doing business over here seem to be men too. I have to admit I haven’t been to any expat meeting recently, just sometimes feel a bit out of the place when visiting those meetings. The Chinese women treating the western men like celebrities is definitely the reason the men stay in China. The guys can almost get any girl they want and that’s hard for them to leave – especially when it might be more difficult back in their home country. It can get LONELY here for Western women. I realize you’re in a relationship but it’s rare for Western women as you know. This is a tough country for women in general. Yes yes yes to that! I feel those are the exact reasons. That’s what I was going to say, but you saved me the trouble. Thanks. :) Btw Joy is my middle name, haha. Alysa I’m happy to hear that. Us Western women need to stick together! :-) LOVE your middle name! Prachi, stay toned for Friday when my friend Linda will share some tips for long distance relationship and share her experiences. As a western woman, I really appreciate this blog post. It is an issue that has truly hit home with me. I had been taking Chinese for a long time and really felt passionate about it. It wasn’t until I lived in China and Taiwan for a while that I decided to drop it entirely because of my less than favorable experiences. It wasn’t the language itself or even the environment that frustrated me, but rather, the social interactions I had with my Taiwanese/Chinese counterparts. Not only were Westerners in general treated with contempt/bitterness/prejudice, I realized quickly that I had it much worse than the other Western men along with me. They seemed to adapt just fine. This could be largely in part to fact that they were idolized by the women. Women were more likely to approach them warmly. On the other hand, with us western women, these Chinese women only gave us glares and refused to associate with us. I think the biggest part of it was jealously. Walking down the street daily, I couldn’t walk by a Chinese women without her appraising me in a scornful way. I was not able to make a single Chinese female friend. With the men it was a little different. They were, in general, more open-minded than the women to westerners regardless of gender. I think this could be that they may feel more secure in themselves and didn’t feel the need to take their jealously out on others. I felt that, even though Chinese men were attracted to Western women, they were terrified to approach one. Perhaps they feared rejection or they didn’t want to get their hopes up because of their parent’s disapproval (which is much different than Chinese female’s expectations). Either way, there are many other factors that make it difficult to make Chinese friends (lack of common interests in movies, music, etc. ), but I believe it is the most due to negative preconceived notions and prejudices towards western women. I really hope that in the future it may be easier for western women to build meaningful relationships with Chinese women. It is certainly an area that is lacking significant progress. As a western woman living in Taiwan for more than 3 years, I found it so difficult to meet people. I think that it is partly due to my low chinese level. During those 3 years, I haven’t dated at all. I wanted to but I never met anyone and I think Western women are seen as too independant and strong. I am thinking about going to CHina to work but I don’t know because I really miss being in a relationship. Sara, what are your thoughts on women dating in China? Did you find it difficult to interact with men? Do Chinese men tend to date more western women? I have to say I agree with you, although I am not a western woman (caucasian I mean, I am one of these cba’s – chinese born abroad). I came to China a few years back and I have to say that I have never dated a chinese guy so far. Most of them say that it’s because they would prefer a common Chinese woman, and that if I worked hard like chinese girls, they would probably like to date me. I find that to be a very lame reason. Chinese girls working hard, and foreign women don’t???? Chinese people think that foreigners are loaded with cash, and that everything is so easy for us here in China. Personally, I think the reason most chinese guys can’t date foreign women is because of their view on us. AND I think they are too shy or simply fear rejection. I may be wrong of course, but after almost 7 years in China, I am no more interested in dating Chinese guys. They judge a lot and don’t even bother to know the person first. I don’t think all of them are like that, but I am yet to find a guy who doesn’t!